It's the time of year to entertain or to be entertained! Whether you are visiting friends for the weekend or heading to a BBQ or party, it's always nice to bring a gift so your host feels appreciated! These amazing candles by Sanari are eco-friendly and organic, made with 100% plant based ingredients down to the wick. Available in several natural and subtle scents. The unique recipe tin is so pretty to break out when cooking for family and friends. I love the simple flower design and gold detailing. This beautiful coffee table book has gorgeous photos, fascinating information, and is perfect for the sophisticated host who loves to travel. Say goodbye to watery cocktails with this Ice Sphere Mold. It's a gift every hostess never knew they needed. Perfect for any host or home chef. The copper detail gives this useful gift a luxurious presence. 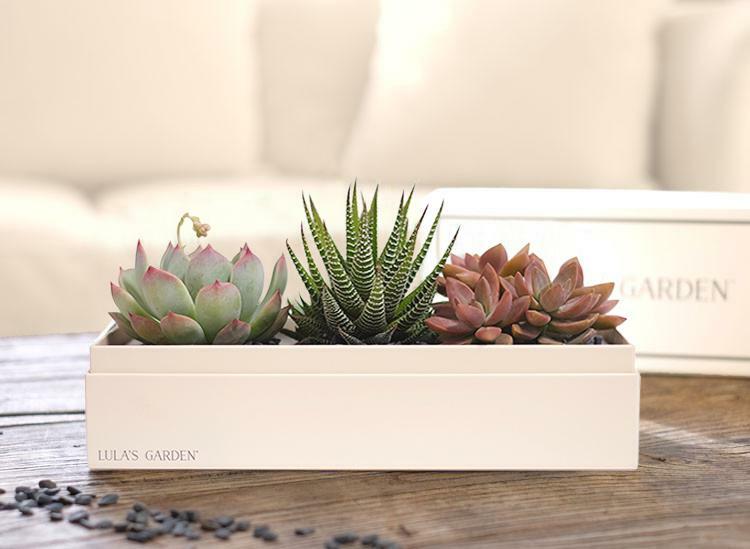 I am obsessed with this Verdant Garden succulent trio! This pretty decor accessory brings long-lasting greenery into any room! Delivery across the US. I love these personalized Linen Cocktail Napkins--they add a touch of elegance and are perfect to use for all events. Add positive energy and a pleasant earthy aroma to your host's home with this sage and palo santo Smudge Kit. Comes with a "How to Guide" for cleansing any home! Foodie hosts will love this nicely packaged Caviar Gift Box from OLMA that includes four types of caviar and a mother of pearl caviar spoon. A personalized classic gift for the host who likes and serves the yummy, traditional Moscow Mule cocktail! Hint: I like to order some of these items in advance and keep them in my storage closet for when I need them! Be prepared for some fun soirees and events this summer!